سواءً كنت مسافراً بغرض السياحة أو العمل, Countrytime Hotel هو خيار عظيم للإقامة خلال زيارتك أومارما. يمكن من هنا للضيوف الاستمتاع بسهولة الوصول إلى كل ما تقدمه هذه المدينة النابضة بالحياة. يشكل هذا الفندق ملاذاَ مريحاً للاسترخاء ويمنح زواره فرصة للاستجمام والتجدد، وهو يقع على بعد خطوات من المعالم السياحية الكثيرة للمدينة كمثل: ‪Totara Peak Gallery‬. يقدم Countrytime Hotel خدمات لا غبار عليها وكل أشكال اللياقة وحسن الضيافة اللازمة لإسعاد ضيوفه. يقدم الفندق واي فاي مجاني في جميع الغرف, خدمة التنظيف يوميًا, مدفأة, خدمة غسيل ذاتية, مرافق مخصصة لذوي الاحتياجات الخاصة لضمان الراحة القصوى لضيوفه. ادخل إلى واحدة من الغرف 47 وتخلص من عناء نهار طويل بمساعدة مجموعة كبيرة من الخدمات كمثل تدفئة, خدمة الإيقاظ, تليفون, تلفزيون, ثلاجة الموجودة في بعض الغرف. يقدم الفندق مجموعة رائعة من الخدمات كمثل حديقة، لجعل إقامتك تجربة لا تنسى. يشكل Countrytime Hotel بخدماته الراقية وموقعه الممتاز، قاعدة مثالية للاستمتاع بإقامتك في أومارما. 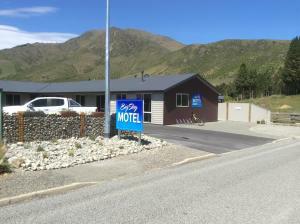 I was really looking forward to staying here after many days driving around NZ. We needed a relaxing night and good sleep is why we choose this hotel. But it was run down and just far to noisy. Parties in the rooms above us, people smoking outside our room. I asked them to be quiet and they did not stop. No sign of any staff and ended up getting 2 hours sleep with a big drive the next day. Very disappointing. Staff was nice, place was so outdated that it was basically creepy. No need to go here, you do want to go to the hot-tubs, but stay somewhere else (although judging from the reviews, the rest is no better). Lovely place to stay, very friendly staff, beautiful outlook from room and food in dining room was delicious. Very happ staying here. Chef didn't come to work so they didn't serve dinner so we had to go out and eat. Room was too small for 3 people and only a tiny kettle was provided. Buffet dinner was okay but dont expect too much from it. The speed of refilling food for buffet was a bit slow. Very old facilities. Seems like never change anything. I feel that this is a 2 star hotel. The place was shabby though fairly clean. Wonderful view of the mountains from our room. Staff were friendly & helpful. wifi signal was poor even in public areas. Had ot buy a IAC card. TV signal was poor too. This hotel is overrated. The room was very small and the beds were so bouncy I felt my partners every move. We ended up sleeping separately. The shower was too short and the hairdryer didn't work. The water pressure seemed to be affected by other rooms, and you could hear other guests in their rooms. The buffet dinner was very average and overpriced, and we had to wait for a bus tour to arrive before they would serve the dinner, even though they couldn't tell us when that would be when we checked in. The only good thing was the duty manager who was very friendly and helpful and seemed to do everything in the place. Disappointing overall! The room in summer was stinking hot. Opened the windows because it was hard to breathe in the heat. Then in came the insects of all types. You can't even turn the lights on because the insects flock to them. Then the insects proceed to fly into your face and bed as you are trying to sleep. Extremely uncomfortable stay. This place will be great during winter, but please give it a miss in summer. The buffet dinner was dismal, stood there for 10 minutes and there were no staff whatsoever. Very disappointing indeed. We loved our stay at this hotel. It is situated in a quiet area, very close to all activities in the area. Location near to Mt Cook, Ahuriri etc. Quiet. Reasonable price. It was good. The staff were friendly and we liked the informal relaxed atmosphere at the hotel. We had a tough time booking over the internet.The front desk clerk was trying to be as unhelpful as she could.We met the manager later and he made our stay very pleasant. 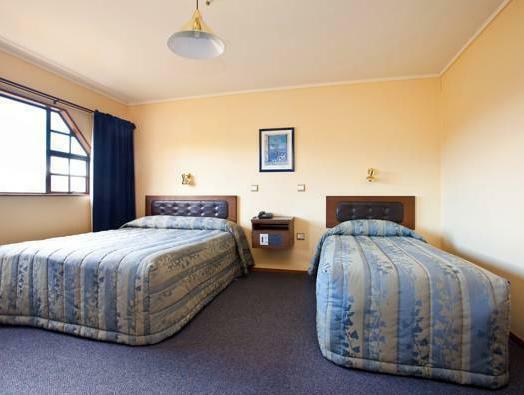 My husband and I booked this room as I was interested in finding out about gliding in Omarama. When we arrived and checked in v. late (almost 10.30pm), I went to the room while my husband got the bags. When I walked in, the bathroom window was slightly ajar and I walked over to close it. The toilet seat was up and someone had defecated in the toilet and left it without flushing. I was horrified, but honestly too tired to see the manager at that point. However, everything else was also unclean: the bed sheets were badly wrinkled and had old stains on them (although they smelled as though they had been washed); further, the beds were so uncomfortable, we ended up sleeping in different beds because otherwise we kept rolling together and then when I did move over to the single bed, it was largely like lying on a big, squishy foam roll. Also the carpet appeared dirty; several areas of the wallpaper were ripped off; and the towel I used for my shower in the morning had a long, black hair on it (I have short, light hair). We haven't experienced anything this bad since communist Eastern European hotels in the 1990s. When we FLED in the morning I understand that I should have addressed this with management, but the woman at the counter just took the key without any query about how our stay was and the manager's office appeared empty, so I will be writing a letter of complaint instead. Honestly, I felt dirty and ill after staying at this place and would not recommend it to anyone else. easy to find.. but no kitchen facility.. overall ok.
i don't understand that why they put the carpet in the toilet. after i had shower, the floor always wet all the time. the room and location are ok. the staff very friendly.